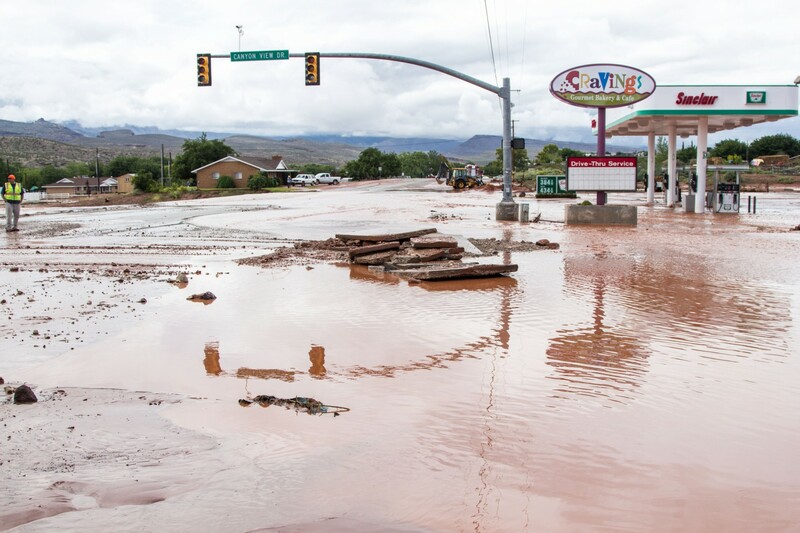 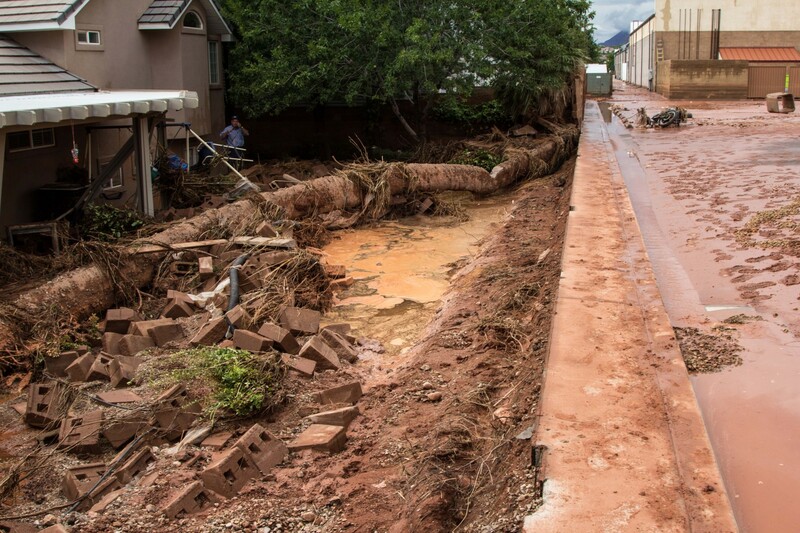 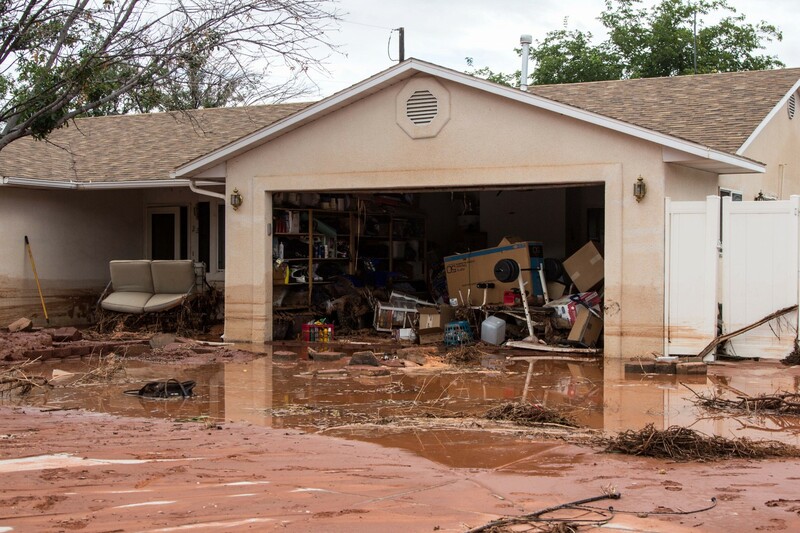 SANTA CLARA – Flood waters raged through Santa Clara homes and businesses today after a retention dike collapsed due to excessive rain. 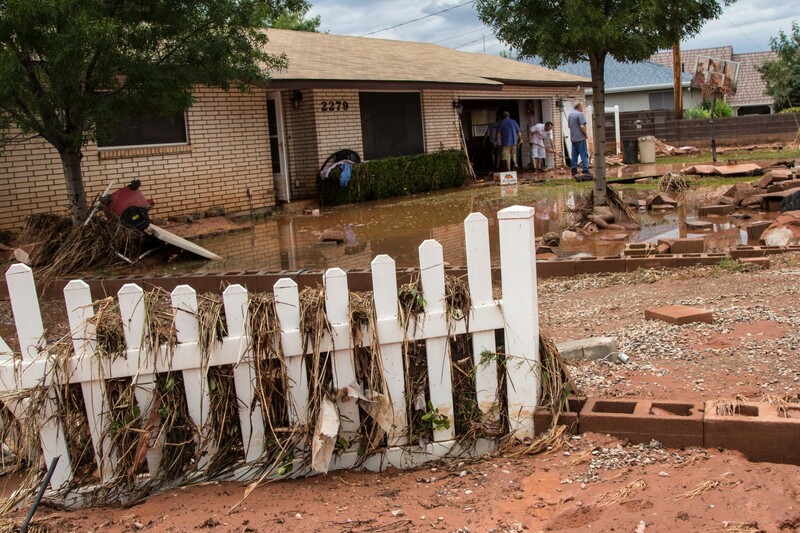 Officials warned surrounding residents of the danger this morning, and many evacuated. 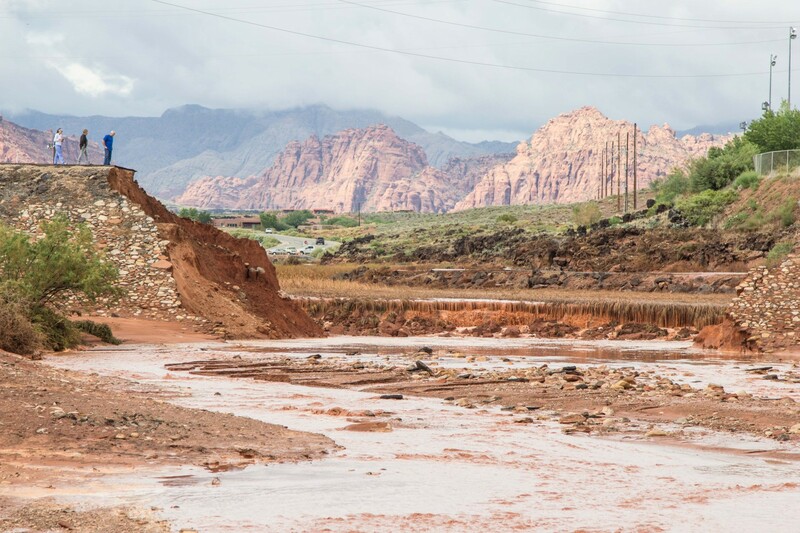 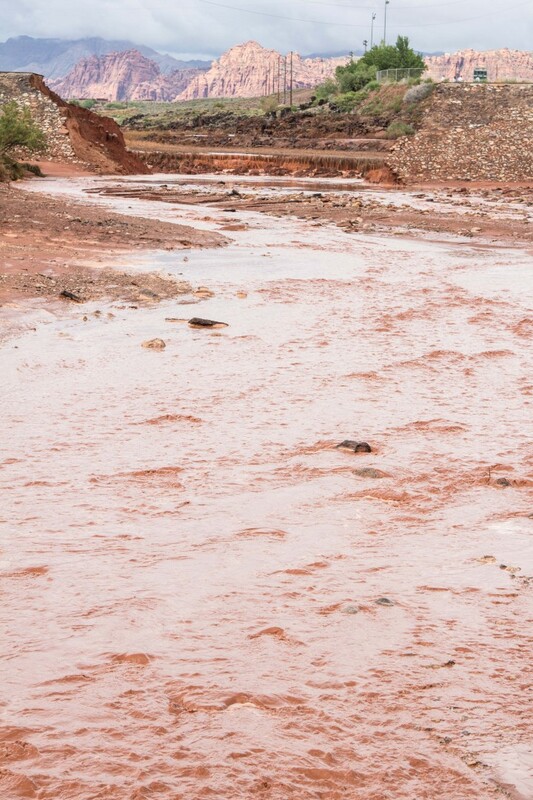 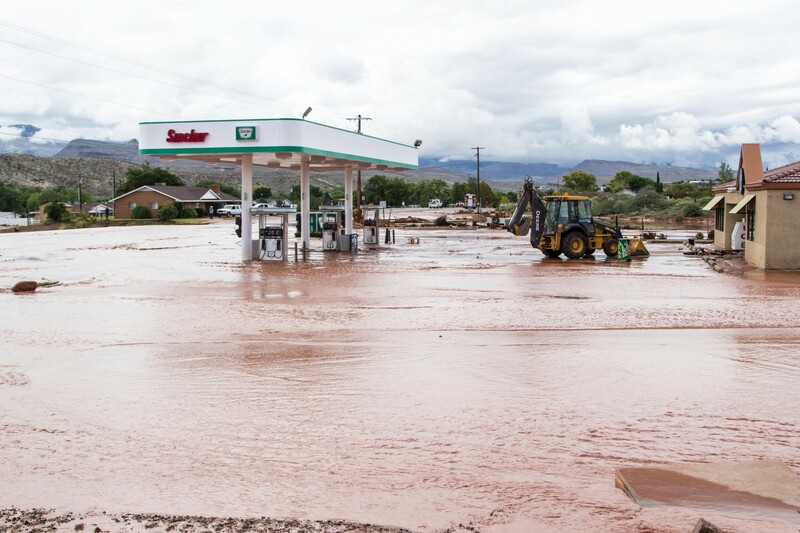 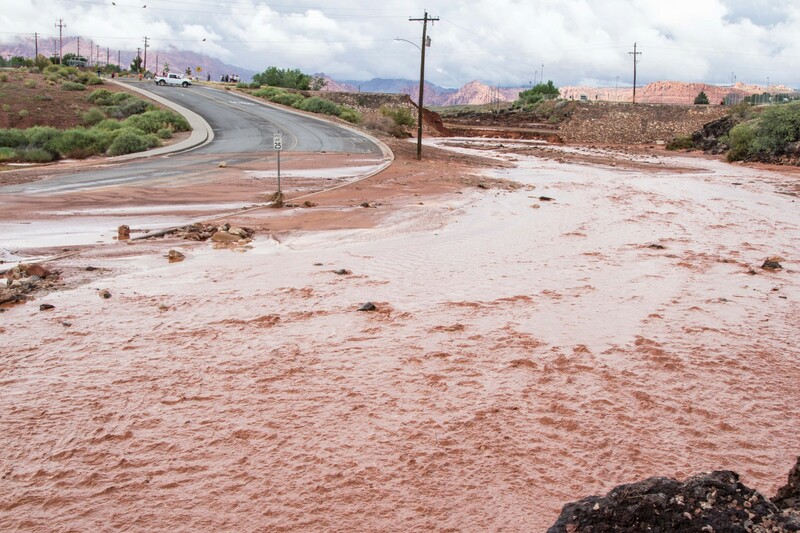 The city reservoir west of Snow Canyon Middle School has rarely seen this much water, but the flood drainage through the City of Ivins was enough to displace the dike and let it rush through. 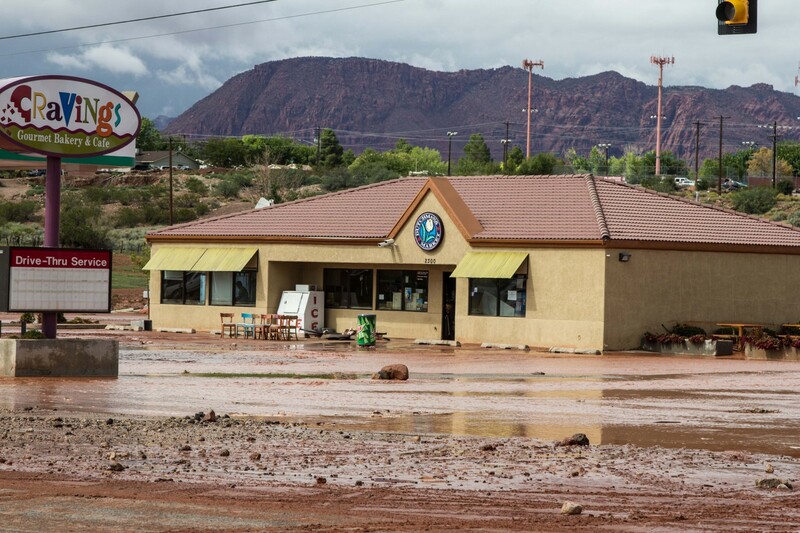 One of the businesses hit the hardest was Dutchman’s Market, on the corner of Sunset Boulevard and Canyon View Drive. 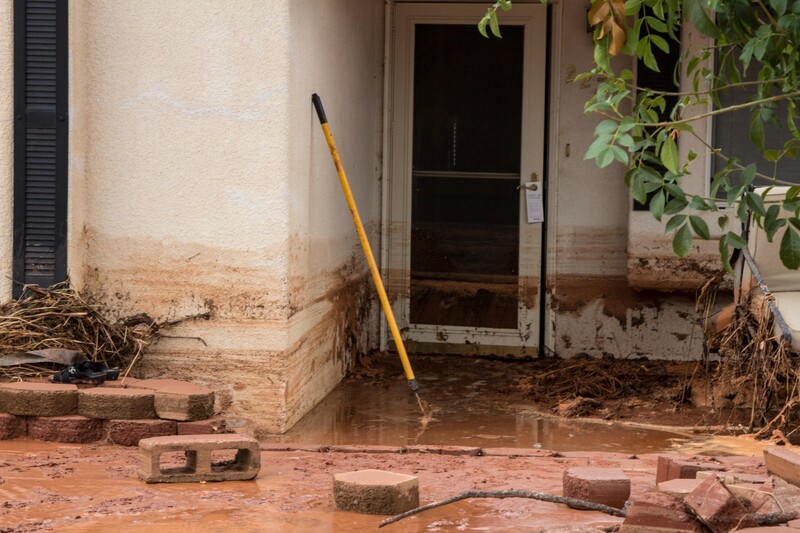 After 26 years in business and a recent remodeling to her store, Frei is left to work things out on her own knee-deep in mud. 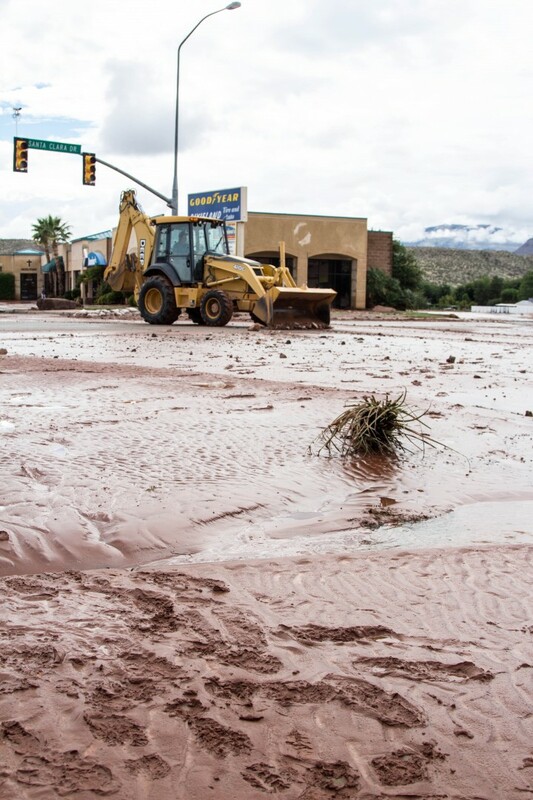 Many businesses and homes in the area do not have flood insurance because floods are rare in this area, so residents are taking the devastation full force. 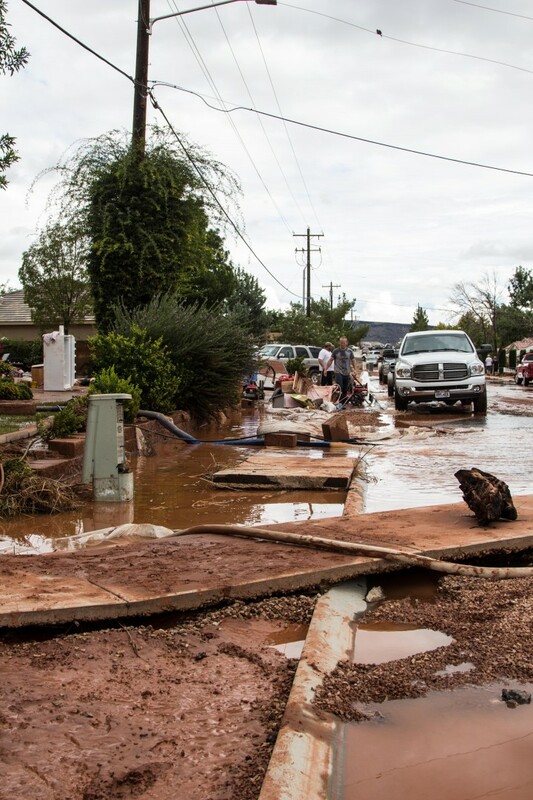 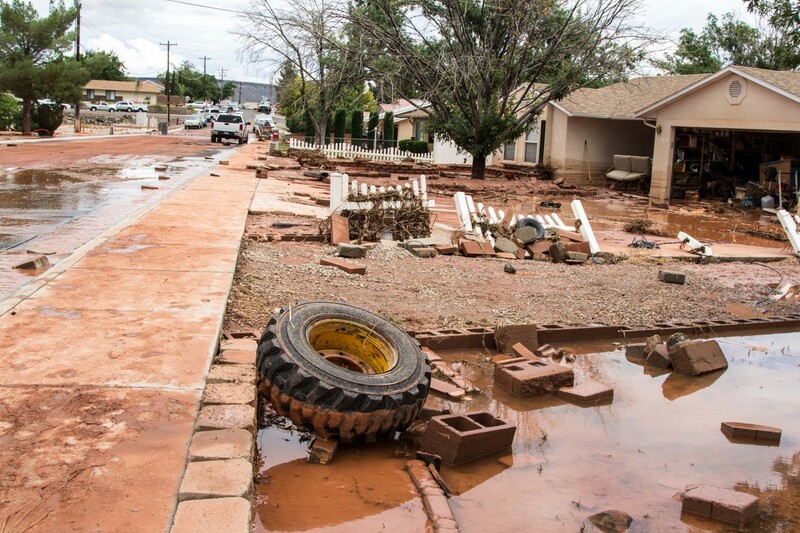 City workers passed through the neighborhood to warn residents and are continuing to direct traffic, clean up and provide resources to those in need. 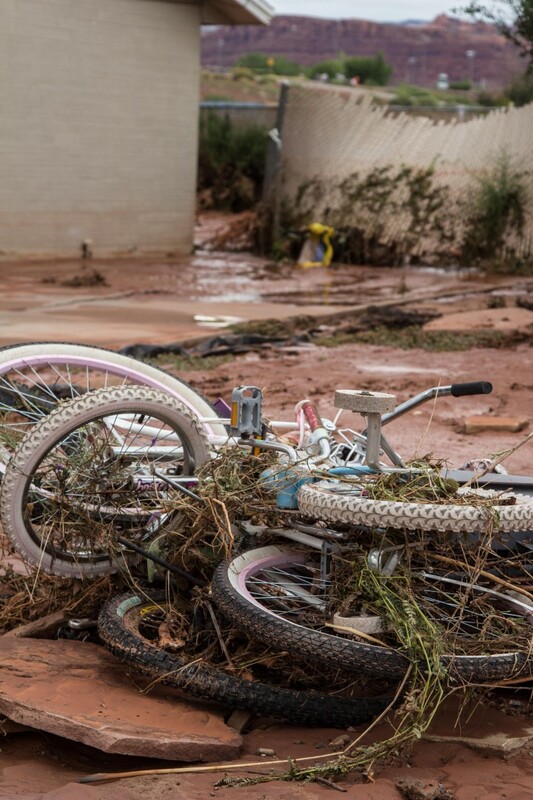 Flood warnings are still in effect for the area, and residents are cautioned of the dangers still to come.